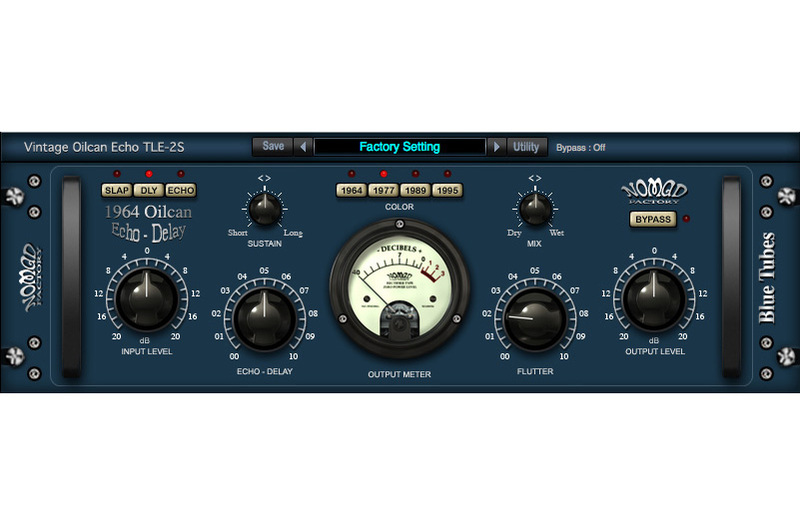 The BT Vintage Oilcan Echo TLE2S delivers the classic analog sound of a tapeless oilcan echo/delay. This model adds “Color” to your music by providing various echo and delay styles from specific time periods, namely 1964, 1977, 1989, and 1995. These styles, along with the other various controls on the TLE2S, give you easy, yet wide-ranging time-based effects to add to your recordings.